TORONTO, July 6, 2017 – Our galaxy could harbour some 100 billion brown dwarfs, often described as “failed stars,” reveals new research by an international team of astronomers, including York University’s Ray Jayawardhana in the Faculty of Science. Brown dwarfs are objects intermediate in mass between stars and planets, with masses too low to sustain stable hydrogen fusion in their core, the hallmark of stars like the Sun. From their survey, the seven-member research team estimates that our galaxy, the Milky Way, has at least 25 billion to as many as 100 billion brown dwarfs. 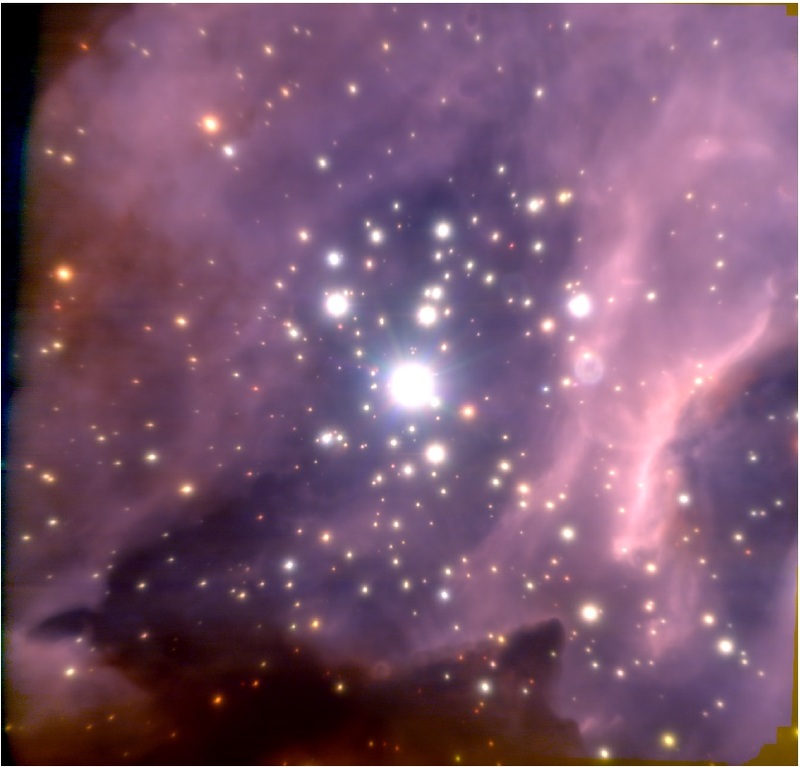 Even this could be a significant underestimation, as there are many lower mass and fainter brown dwarfs, present everywhere in star clusters, they note. Jayawardhana and the team have come to the conclusion after surveying brown dwarfs in a massive star cluster, noting this is probably typical of the environment where most stars in the galaxy form. The researchers found that there is approximately one brown dwarf for every two stars in the cluster, similar to the ratio they had found previously in nearer, less dense star clusters. They present the findings today at the National Astronomy Meeting in the UK. Lead researcher Koraljka Muzic at the University of Lisbon and team member Aleks Scholz at the University of St Andrews have collaborated with Jayawardhana since their time as postdoctoral fellows in Jayawardhana’s group. Since the discovery of the first brown dwarf in 1995, astronomers have identified thousands more. The overwhelming majority known to date reside within 1500 light years of the Sun, relatively nearby astronomically speaking, simply because brown dwarfs are intrinsically faint and difficult to observe at greater distances. Back in 2006, Jayawardhana and his collaborators began a new search for young brown dwarfs. After surveying five nearby star-forming regions, they turned their attention to the more distant RCW 38 star cluster, which has a high density of more massive stars and very different conditions from the other surveyed regions. The fact that they have found just as many brown dwarfs in RCW 38 suggests that the environment where the stars form, whether stars are more or less massive, tightly packed or less crowded, has only a small effect on how brown dwarfs form. For the current study, the researchers used the European Southern Observatory’s Very Large Telescope in Chile to target the RCW 38 cluster, located 5500 light years away from the Sun. They used an adaptive-optics camera to capture sharp images, considering the cluster’s distance and the proximity of the faint brown dwarfs to bright and massive stars.